At RC Car Action, we’re into action. Hey, it’s in our name after all. We know you’re into it too, and one of the best ways we’ve found to bring you the goods is through video. Over the years, we’ve built an extensive library of action videos. Check out our top five action video picks. Make sure you also check out our tips on shooting your own videos. When you’re working with a big RC truck that can tackle any terrain you can think of, you’re probably going to get some cool footage. The waterproof Traxxas Summit is a 4WD truck with monster-size tires and excessive power on tap. It also happens to have differentials that can be locked via the transmitter for ultimate traction. Want more? You can also shift from high to low gear with the transmitter. The end result is a truck that can be repeatable driven underwater and just bashed and bashed on. Senior editor Kevin Hetmanski once said, “I bet I could easily jump a bus.” The next thing he knew he was prepping a ready-to-run Team Associated RC8 1/8-scale buggy to jump a school bus. Getting the buggy and building the ramp was easy. As it turns out, finding a school bus actually went pretty smooth too. Kevin called in some favors and a bus was soon parked in front of a school and ready to be jumped. The one catch … this particular bus was a rare extra-long model. This truck was built to do two things: look realistic and go mud bogging. The Axial AX10-based truck looks pretty scale and, boy, did it take to the mud. It’s hard to do justice to what this truck went through and the mess it created, but this video does a pretty good job of capturing the fun we had. Who doesn’t like to go fast? Truggies are known for their speed on the track. They also happen to be a bit easier to drive than their 1/8-scale buggy counterparts. On some tracks, they even put down faster laps. 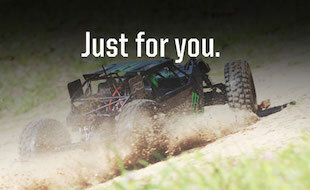 Check out this Caster Racing F8-T FK truggy in action and out on the track. It’s pretty fast for a ready-to-run. Heck, it’s just plain fast. The Subzero is a scale rock crawler that not only looks real, it looks simply tough. It’s built like a battle tank. In this video, it’s shown right in its element and sometimes you’d swear it was the real deal. And since it’s no lightweight, the rocks would wince if they could as this truck easily crawls and crushes as it goes. RC Car Action‘s resident action-footage expert is our Video Producer Joe Arthur. We asked him for five tips for shooting high-quality RC action videos. Check out his advice and start shooting. 1. Get low. A lower angle will help you achieve a dramatic “larger than life” point of view. 2. Shoot as many angles as possible. The more variety, the more interesting your video will be. 3. Shoot close-ups. Detail shots will add a more professional look to your video. 4. Use slow motion. Slowing down a few dramatic clips will definitely give you an edge. 5. Only use the best footage. The single most important tip to getting a good action video is to edit out everything that doesn’t hold your interest. Even 5 seconds can sometimes feel like 5 minutes if it’s boring footage.